Why is it advised not to read your own Janam kundali? 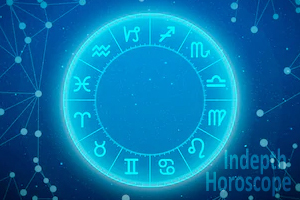 The science of astrology has been in use since the Vedic age and it has been guiding the human being as a compass of deciding the future course of action. As a desirous Human Being has always been futuristic. 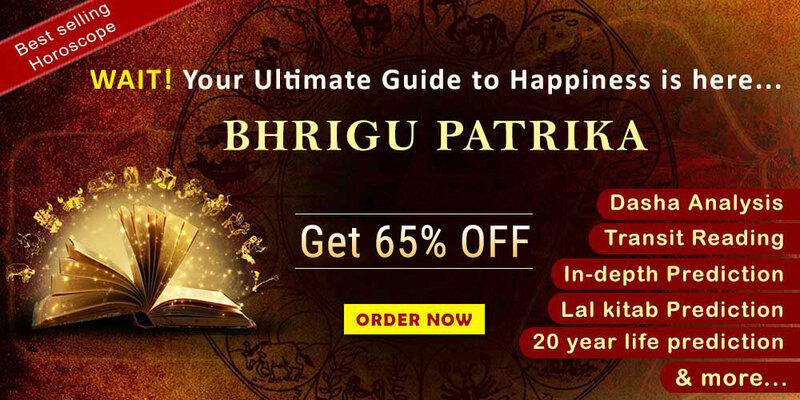 Hence, in recent years through-out the world, one has seen large number of ambitious, well qualified people getting attracted towards Jyotish or Astrology. There first encounter with Jyotish happens when they entered into the phase where depression occurs in their life. They run from pillar to post to find the reason for such depression. 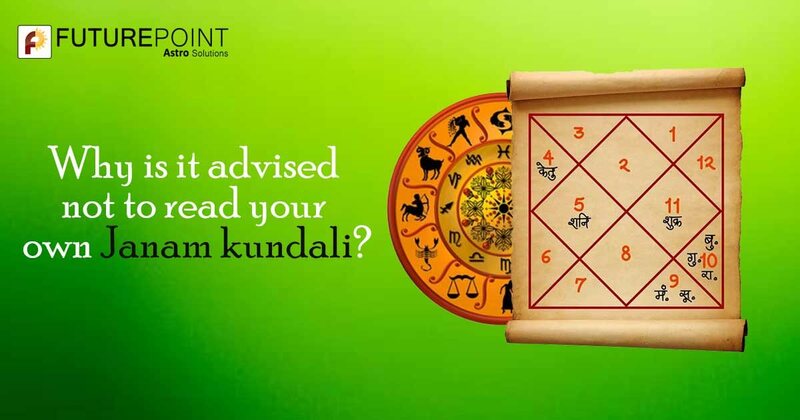 Then on the recommendation or consultation of one, they consult a learnt and experienced astrology with their horoscopes or Kundli. The irony is that, these young talented ambitious people try to fight with the odd and fails and then they turn their head to the other versions which they pose a question, as to how long should one fight the odds. In fact, it is after this phase in their life, they take the advice given seriously and then consult a learnt and expert astrologer. This encounter brings them not only closure to the Jyotish but also the ancient knowledge of Indian scriptures. The beliefe in them is that all the solutions to our problems are in the Vedic script of Hinduism, until then it was an outmoded subject. 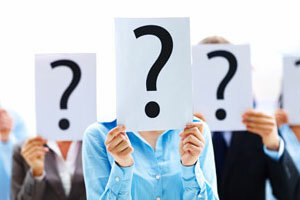 Most people do not want to know the solution of the problems but they are most interested to know the route of the problems they are facing. It is then that they get Enlighted that our ancient script of Hinduism is not only sociologically superior but also scientific in nature. But the ego rules them? In fact, it has been seen, that when such native is in deep trouble they seek astrologers advise, but only half-heartedly. Their myopic view is to question the correctness of knowledge by an astrologer. Also, with the advent of internet, they even surf the net to cross check the authenticity of astrologer’s verdict. Even Further some of these natives do not decide to go to Jyotish reader, rather they decide to learn by themselves. In this process these natives do not respect the various rules which traditional Jyotishi's follow one of them is "do not read your own Janma Kundli". Now, then question is this practise wrong? In fact, if Shastra or Vedas are to be considered as the constitution of cross checking the actions of an individual, it is silent in this action. In other word, it does not prohibit any one knowing astrology by not practicing the same for their own belief. However, with the Human tendency, we have been that people are more Emotional and less logical. These half-backed knowledge people would apply the knowledge in their own Janma kundali and find the results of the outcome as contrary to their expectation. Many a time, they even do not follow the rules accurately on the practise of astrology and then they invite Veda Dosha. Since, Astrology is a part of Veda, improper practising of the same can lead to Veda Dosha. Again, many at time, it has been seen, that when one would check their own horoscope they are more bias than practical. It is same for a doctor not to treat himself. Since, in either case, prejudicial judgement can exist. This is specific to the point that one who reads their own Janma Kundli is terrifically biased about himself or herself in either way, positive or negative. Hence, the outcome may be doctored or can be misinterpreted for one’s own prism of thoughts. Is this the only reason? 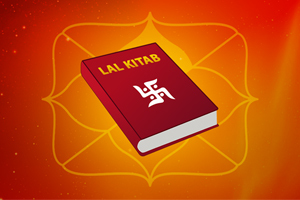 Why it is advised not to read one’s own Janma Kundli? On a wide reason yes! Many psychological studies also confirm that, when one would predict about something (In this case your own Janma Kundali) there are the high chances that you will like to see that happening and your prediction should come true. This brings a person in tussle between himself, and ultimately, he gets highly motivated to work according to his predictions. This often creates troubles to unknowingly inflicting harm to the oneself. Again, if the predictions are extreme then this can be dangerous as well. There are chances that when someone knows about its weakness and strength via Kundli, then he will be able to cope up with the life in a better way. But if the outcome of the prediction is positive, then their endeavour to improve any negative is reduced considerably. Finally, the field of astrology also says that overall reading of a Janma kundali is not fun at all. Since, it is considered as the eyes of the Vedas, its purpose should be utilised only when it is of utmost urgency. when you are. This is a serious science and not taking it seriously is fatal. Therefore, it is advised, especially to those who are half-backed with knowledge, "Do not read your own Kundli". To know more about your Janam kundali, you can write to us for any assistance. Also, generating Free online kundali you can Visit our Website www.futurepointindia.com. We at Future Point are a team of expert astrologers offering solutions for the past three decades. Our expert and famous astrologers can also provide online astrology consultation, on prior appointment. You can benefit from the services and knowledge of our experts.